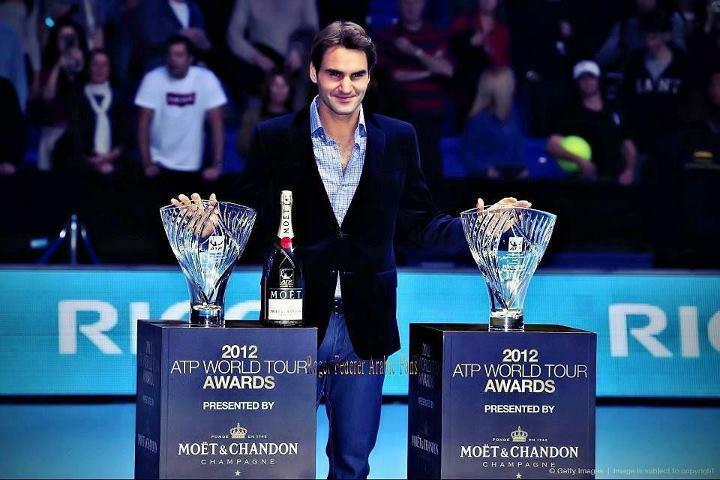 The 2012 ATP World Tour Awards were announced Monday, and Roger Federer won a pair of awards. For the 8th time, the Swiss maestro won the Stefan Edberg Sportsmanship Award, which is voted for by the players. He has won the award for a second straight year (2011-2012) in addition to winning it six consecutive times (2004-2009). 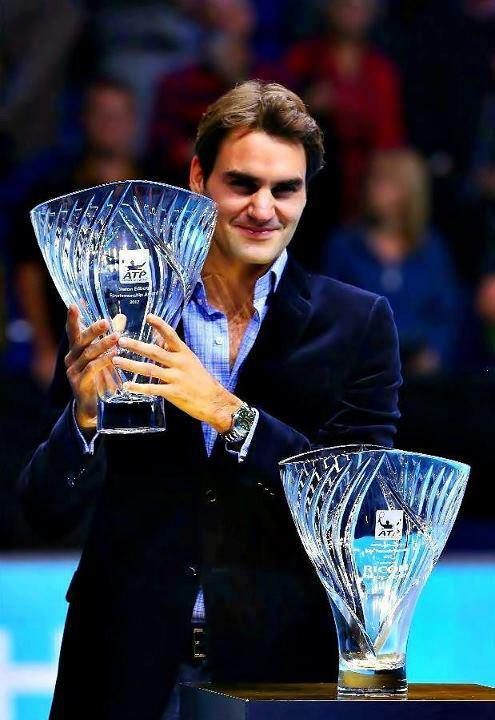 Federer also won the ATP Fans Favorite Award, for a record 10th straight year. He received 57% of all votes cast, finishing ahead of second place Andy Murray, who was just ahead of Novak Djokovic and Rafael Nadal. Federer receives his pair of awards on court at the O2 Arena in London (via ATP World Tour). Tribute to Roger Federer with interview (via ATP World Tour).